Mar 21, 2013 - S.D. 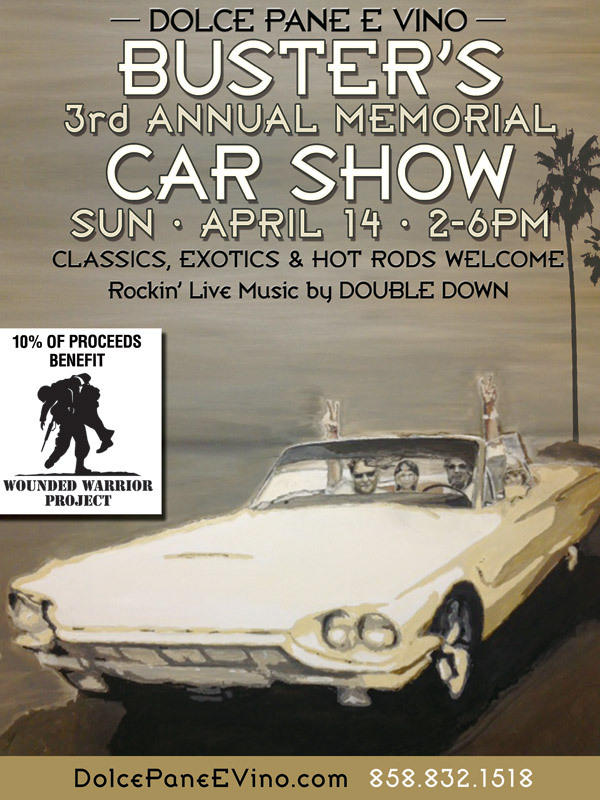 Dolce Pane e Vino has announced the 3rd Annual Buster’s Memorial Car show will benefit the Wounded Warriors Project. Open to the public, entrance to the event is free and will be held Sunday, April 14, 2 to 6pm. 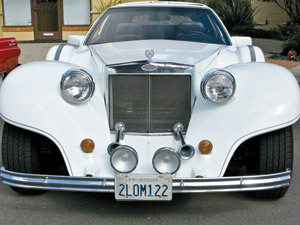 This unique display of automobiles offers car buffs the opportunity to get up close to some rare beauties. Enthusiasts can expect to see nearly 100 cars and will feature some of the most iconic classics, lavish exotics and hot rods including Roadsters, Cords, Ferraris, Phantom, MGB, Bentleys and many more. The annual event held in memory of Frank “Buster” Smith, father of Dolce Pane e Vino’s owner, Anthony “Tony” Smith, honors his love of cars, fun, great food and good people while supporting Dolce’s commitment of giving back to the community. 10% of proceeds from food and beverage will be donated to the Wounded Warriors Project. Live music will keep the event rocking with an afternoon performance by Double Down. Gift Certificates will be awarded to several ‘Best of’ categories. Car owners interested in displaying their wheels for a good cause must register prior. To register call Steve Flowers at 858.832.1518. Dolce Pane e Vino is located at 16081 San Dieguito Road in the Del Rayo Shopping Center in Rancho Santa Fe.